I wanted a higher seat in my PA14, for a better leg angle while pedaling, and for general comfort. It would also allow my old bones to stand up easier! Here's what I built, in rough state but fitted together. After a trial or two on the water, I'll round the edges with a router and then sand and finish it. Cut the 2x4 into two 16" pieces. Mark the bolt hole locations. 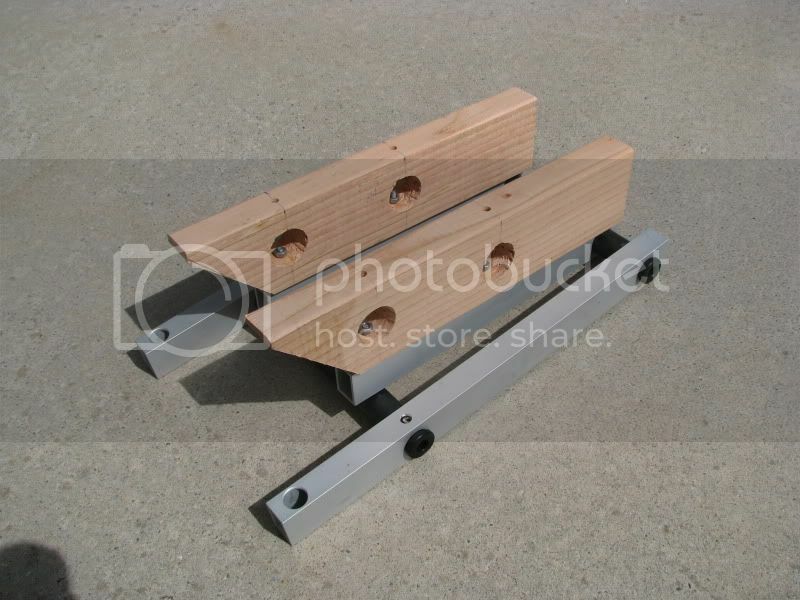 Using a hole saw, drill two 1½" holes through the sides of each riser, centered. Drill four 5/16" bolt holes from top and bottom, into the large holes. Assemble. 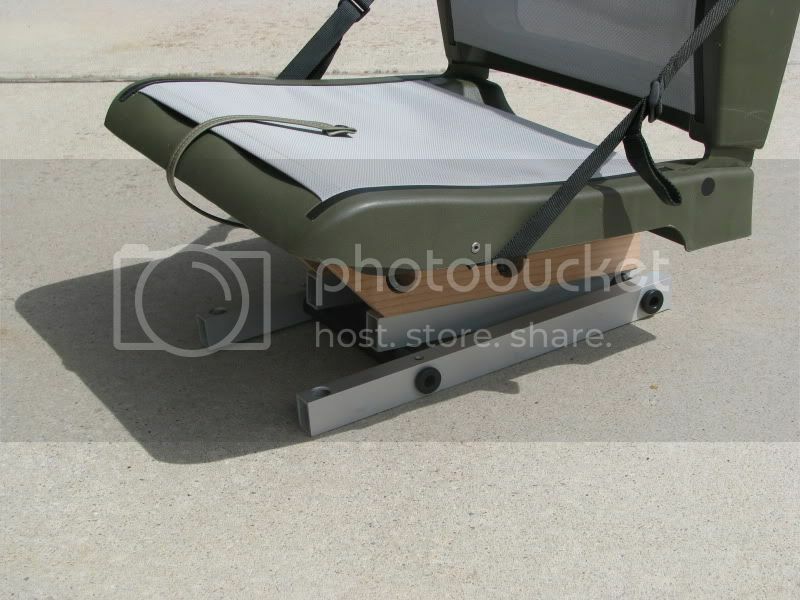 Attach the risers to the seat using four 1½" bolts and washers. 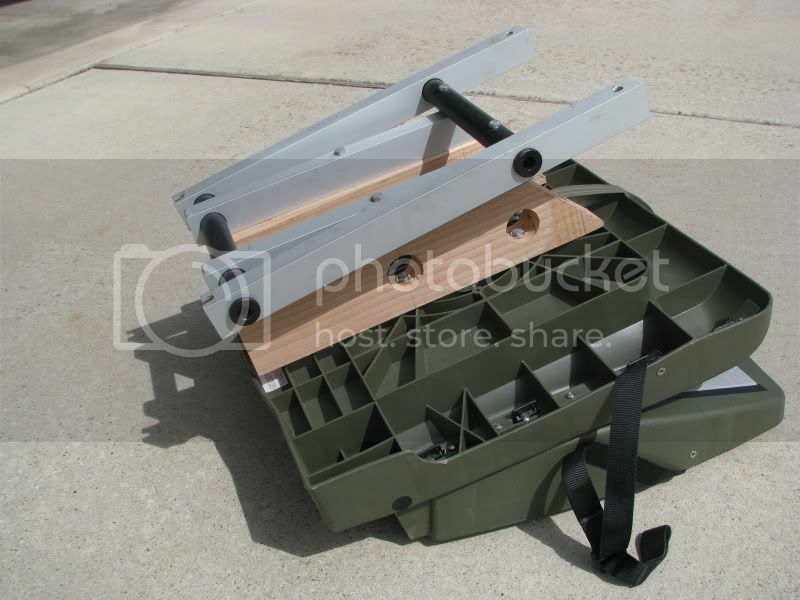 Attach the aluminum base using the 4" and 3" bolts, with washers and nuts. Note the added storage room, too! Total cost was about five dollars. Hard to beat that. A hundred views and not one question? How odd. That's because you did too good of a job explaining what you built lol. 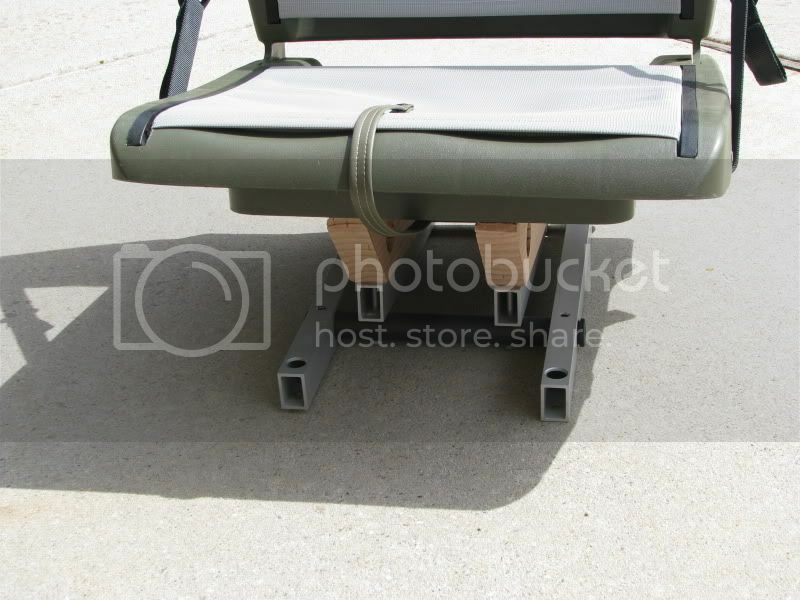 I like the higher seat idea, but I just added the slider and it raised it around 2". Thanks for posting your build. Being a writer, I'll take that as a compliment! How much does this raise the seat, and is it returnable to the original height? I'm hearing on the PA12 that when that seat is raised, the user has to adjust the pedals and bend and stretch to reach the steering - which may be of concern to some - but they can easily put the seat back down if desired? We'll see how this is dealt with on the PA12 - Is there a suicide knob (yes, showing my age now) that can be screwed into the threaded area on the end of handle to provide and extension bar/handle to an "appropriate" height, and angled or staked somehow to offset the increased torque on the handle? Well, obviously, the seat is raised the width of a 2x4 - which is actually about 3.5". And it is completely reversible (provided you don't misplace the original bolts) in about ten minutes. Finally got the boat out today to test that seat mod. Folks, it's magic. My leg angle from hips to pedals is MUCH improved. That means I'm no longer resting right on my tailbone the whole time. Discomfort and fatigue are drastically reduced. Now, I can take it apart and "purdy" it up some with rounded edges and some sealer and stain. I recommend this mod to anyone who owns a PA-14. Fab idea, simple, elegant, love it! Did you have to take the lower seat mesh off to get to the recessed 1/2 X 20 nuts?